The track is quite steep and the scrub dense. I can hear birds calling and catch fleeting glimpses of tiny finches foraging deep in the bushes. At the same time a group of lorikeets are feeding on eucalyptus blossoms in the canopy. But the birds are wary on this warm spring morning and keep moving out of camera range. Periodically, the eroded openings of narrow mine shafts, fenced off for safety, appear on both sides of the trail. I stop to reflect on the men who worked these dangerous tunnels armed only with buckets, ropes and spades. 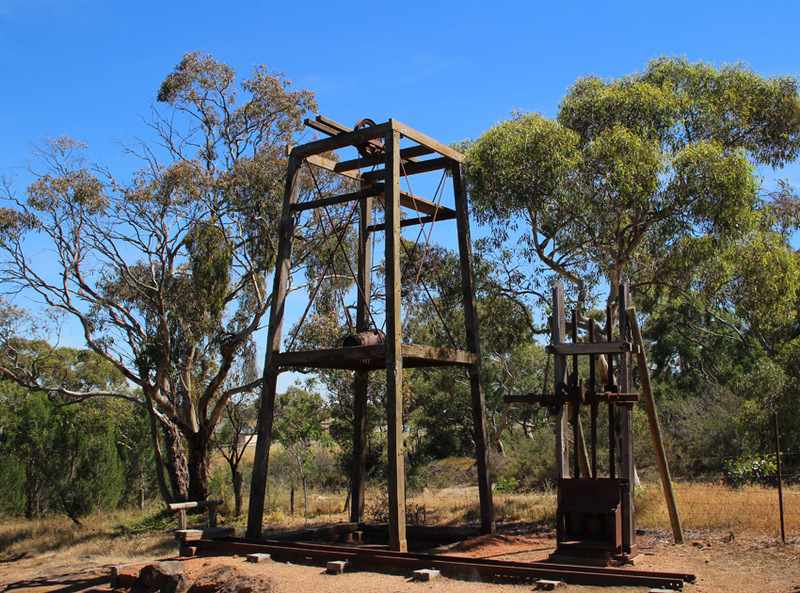 At the top of the hill, where I started my walk, a restored miner’s cottage and the weathered skeletons of a rock crusher and derrick suggest that the area had once been the centre of a sizeable mining operation. I am at the Barossa Goldfields about 40 kms from Adelaide between Williamstown and Gawler. At its peak in 1870, the lure of gold attracted around 4000 hopeful souls to these hills and over 25000 ounces of the precious metal was extracted. The site has been carefully restored by volunteers and is in the Para Wirra National Park; a worthwhile stop en route to the Barossa wineries if you care to take the back roads rather than the main highway. There is a network of well marked trails to suit walkers of all abilities and many excellent interpretive signs that cover everything from local geology to the everyday life of the original miners. At the bottom of the trail there is a small creek still flowing from this year’s ample winter rains and as I cross it a kookaburra takes flight from a low branch where it had been watching for prey. 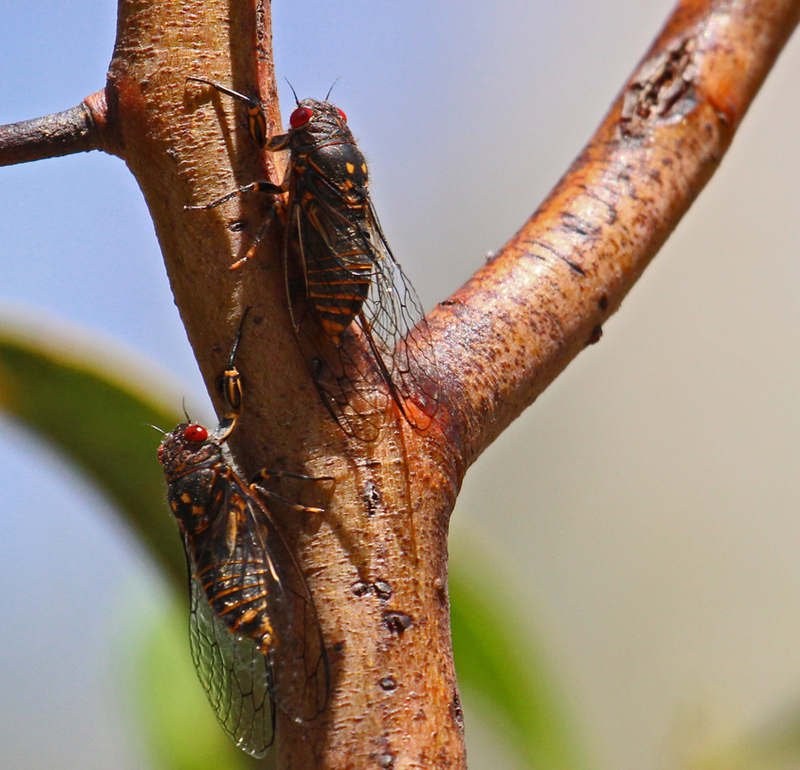 The air is warm and buzzing with the calls of cicadas. I find a small eucalypt that seems to have more than its share of the ‘noisy little buggers’ and sit quietly in its shade for the next half hour trying to get a half decent shot. 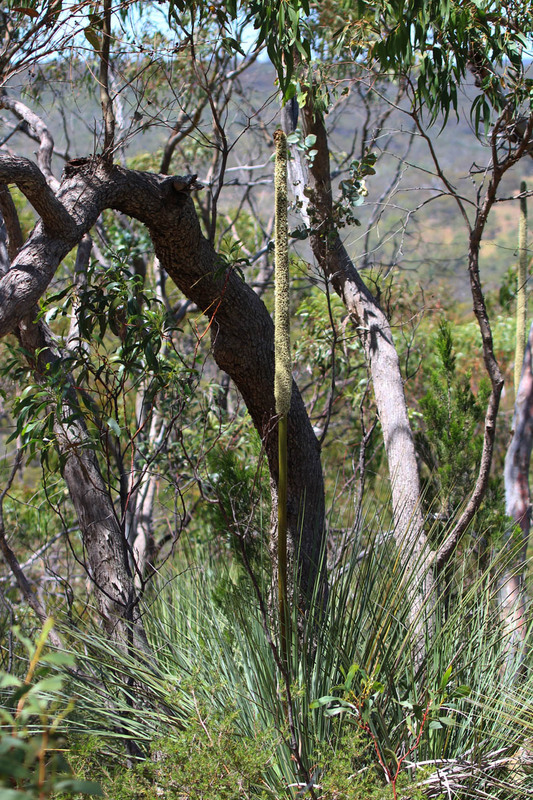 As the trail climbs back out of the gully the terrain changes; the thick scrub gives way to more open grassland interspersed with stands of tall eucalypts. In the distance I catch sight of a pair of western grey kangaroos but they bound off over a ridge as I approach them. 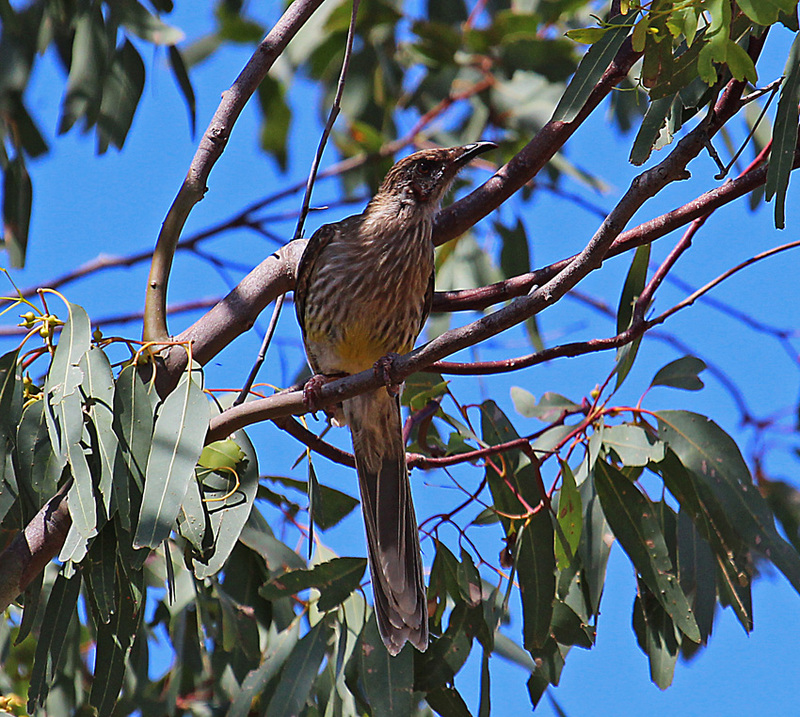 A scattering of rosellas are feeding in the grass and a wattle bird squawks defiance at a group of miner birds that are encroaching on its territory. As the track takes a sharp bend I come across a sign that indicates a short cut back to the cottage and car park where I started my journey. It seems an opportune time to sit under a tree and take a ‘swig’ from my water bottle. However, I am not the only one who finds this a convenient resting place. 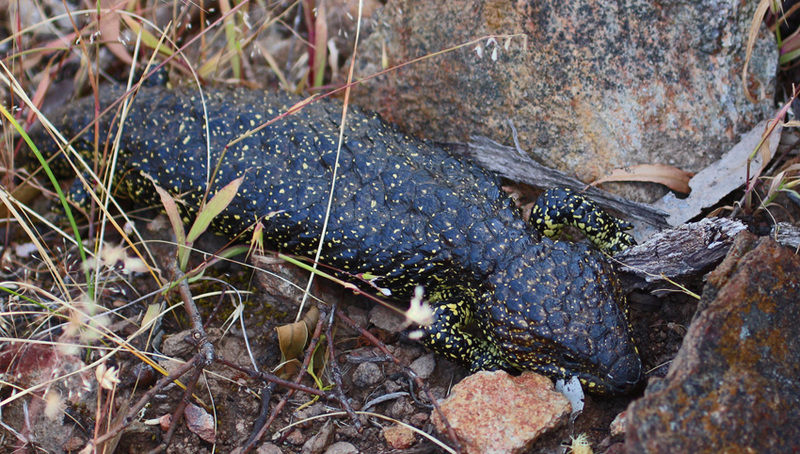 I hear a faint rustling sound by my feet and a sleepy lizard materialises between a couple of rocks, its pine cone scales shiny and dark in the dappled light. I leave the lizard to its shady refuge and continue on my way, happy with my wildlife sightings and ready to wind up a successful morning’s trek. Close to the cottage another trail head appears. This track drops down sharply into a gully and I can see that the terrain has changed yet again. 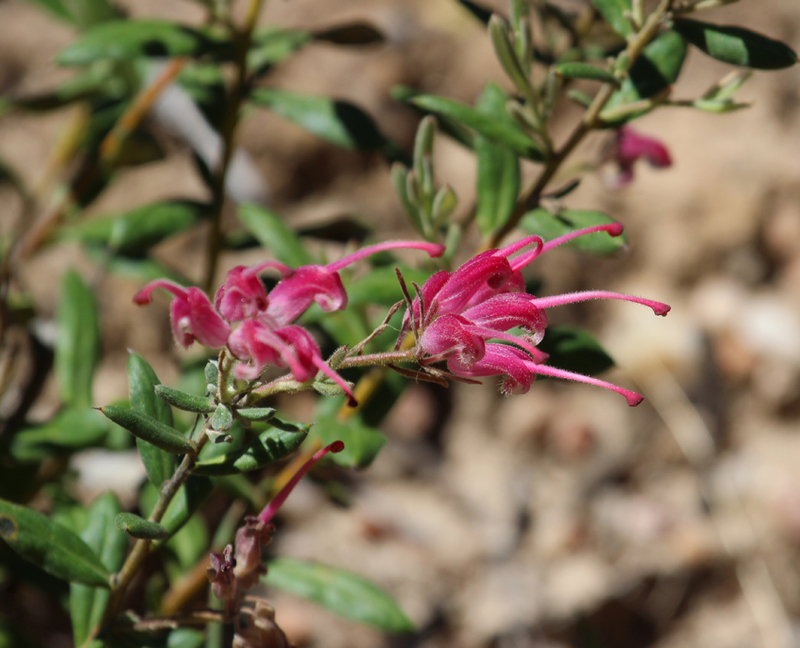 The soil is gravelly and grass trees, grevilleas and a variety of small plants with yellow, lilac and orange flowers, decorate the understory. The ever present eucalypts are a smaller more gnarled species. 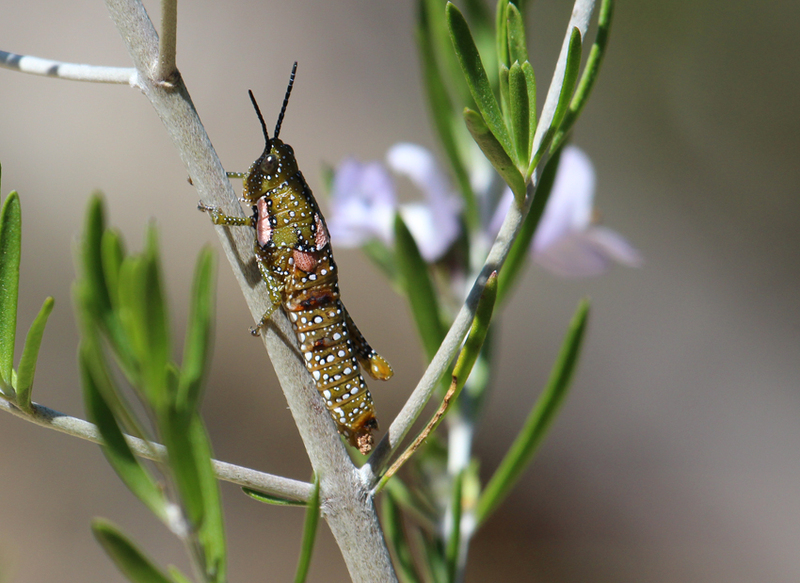 A few cicadas still buzz in the trees but on closer examination I can see a variety of other insects in the scrub including a glorious little cricket with ‘pink-camo-splotches’. I walk a couple of hundred metres further and realise that this trail is worth more than a cursory glance- but not today. And so ‘Dear Readers’ I look forward to another hike around the goldfields and the opportunity to share whatever I find with you.